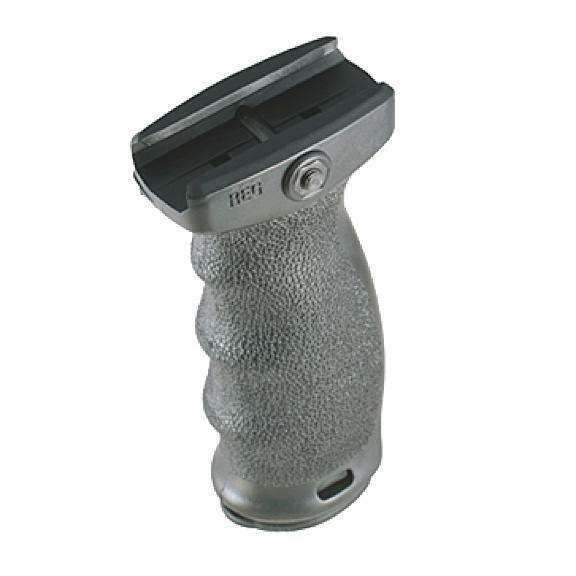 The React Full-size Grip (REG) is a full-fist sized textured vertical grip with finger swells designed to provide a positive grip surface with wet, gloved or large hands. This grip allows the support hand to apply rearward pressure to keep the weapon shouldered to enhance muzzle control and accuracy. This is the grip you want if your objective is maximum grip and control.